Beloit International Film Festival (BIFF) is one of the most significant cultural events in our region. For 10 days, downtown Beloit welcomes hundreds of visitors each day. Filmmakers and film lovers intermingle in the local bars and restaurants, while the top 100 films from more than 1,000 submissions evoke intelligent discussion. Open your e-magazine now to learn more about BIFF. Your Home: Is Your Home Properly Insulated? 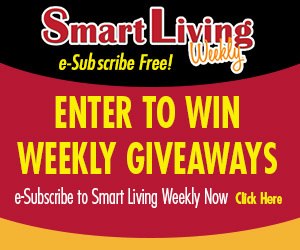 Congratulations to Elizabeth Powell of Machesney Park, this week’s Smart Living Weekly giveaway winner! Elizabeth takes home a $25 gift card to GreenFire, in Rockford. This entry was posted on Wednesday, February 15th, 2017 at 5:00 am	and is filed under News & Events, Smart Living Weekly. You can follow any responses to this entry through the RSS 2.0 feed. Both comments and pings are currently closed.